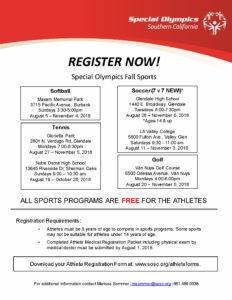 Register now for our Special Olympics Programs! Currently basketball is scheduled. NEXT SESSION BEGINS FEBRUARY 2019! INTERESTED IN BECOMING A VOLUNTEER? CLICK HERE and let us know!